You may remember that every Christmas I gift my mom a set of handmade cards. I think (hope?) that she uses them all throughout the year to send to family and friends. You may also remember that I craft these babies up early – like August early. 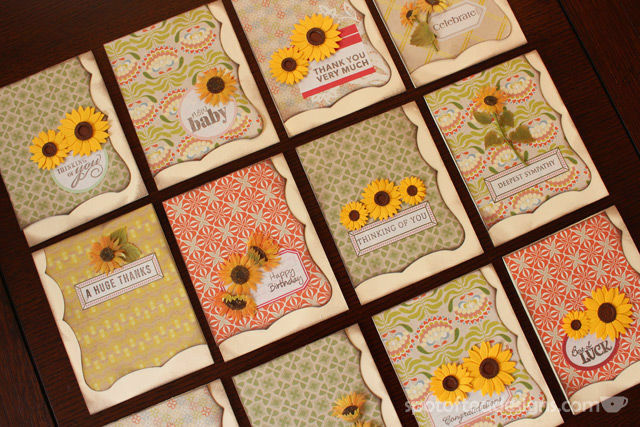 Like last year when I made the polka themed cards with the stamped sayings, I decided to choose a color palette, sticker (sunflowers) and make a coordinating set that was easy to whip together. 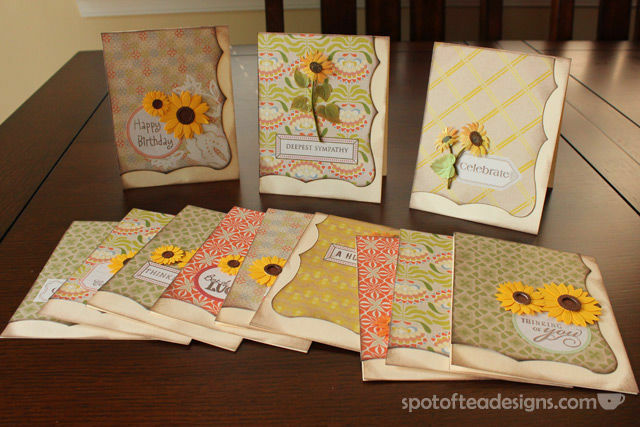 After a little bit of time and brown fingers (from all the ink edges I did), she now had a set of 12 greeting cards for different occasions. The cost? $0 because I used all items I already had in my stash, including the cardstock I used to make the card bases! Luckily I had an overstock of envelopes left over from our wedding and a stash of sunflower stickers that needed to be put to good use. 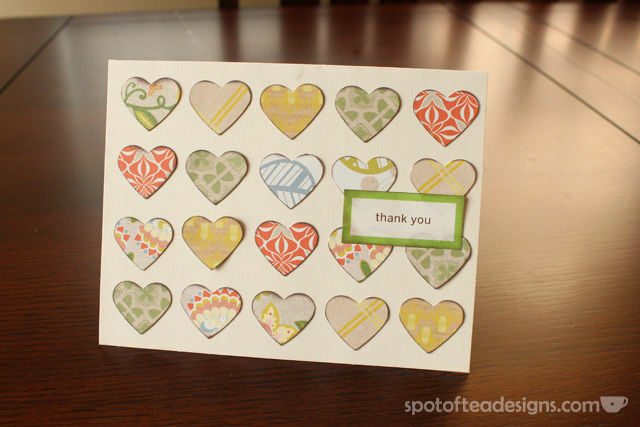 In typical fashion, after I created the cards, I made sure to get one last use out of the scraps and put together this quick punch gallery style card using the bits and pieces left over. Scraps from my scraps! 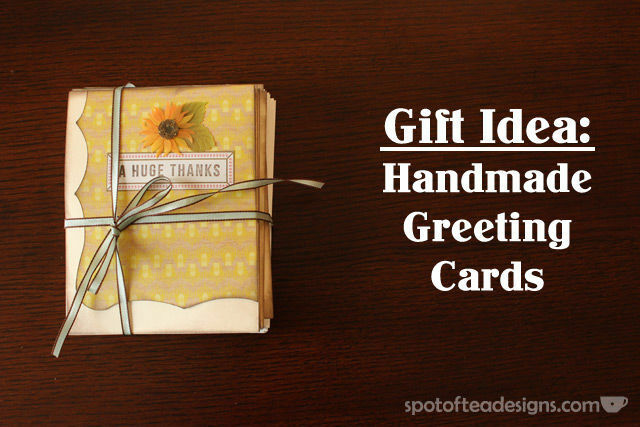 A quick and easy DIY gift idea you can do in little time and little $ but make a big impact!